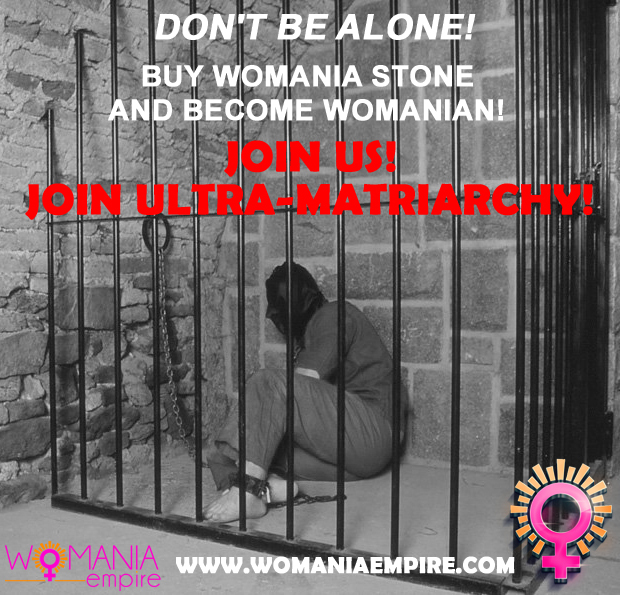 Welcome 2 new Public Regional slaves of Womania Empire in the USA! Empress Patricia I. appreciate all donations! 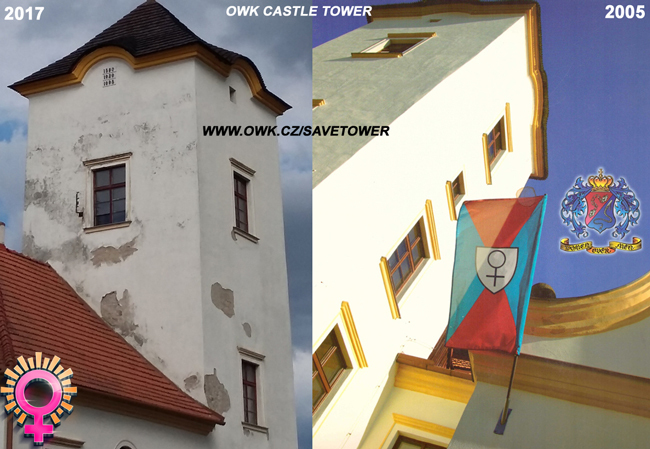 OWK Castle is seat of Womania Empire! 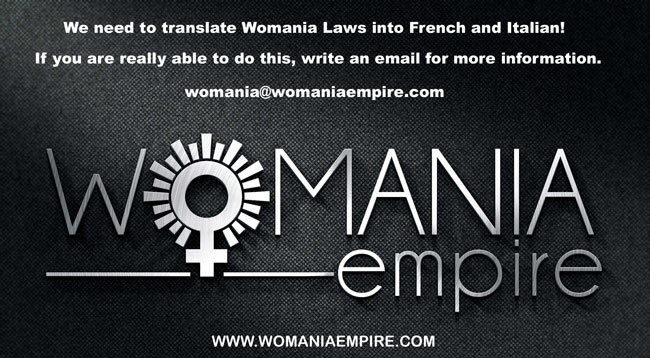 Our Twitter account @WomaniaEmpire was temporarily locked today. violate Twitter rules. We hope that our account will be open soon again. Ladies - use this maid! 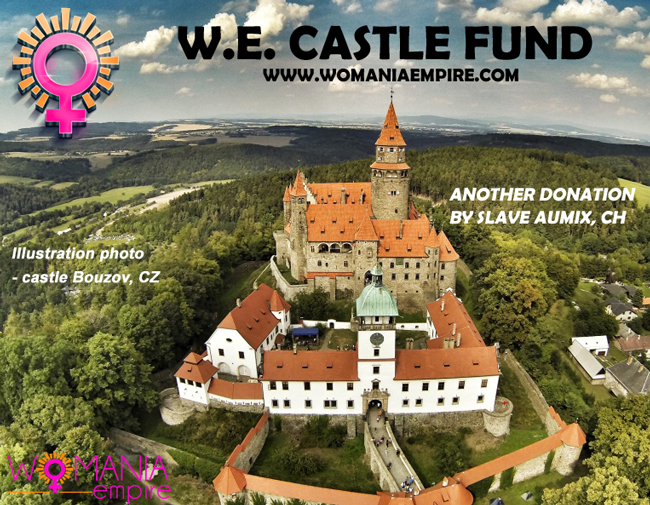 New donations for Womania Empire Castle Fund! We need competent and RELIABLE translators! The Empress Patricia I. appreciate every gift for the OWK Castle repair. 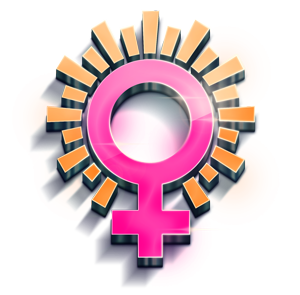 It is seat of Womania Empire now and must be repaired! New gift by Womania citizen: servant 0201 (+servant0201), Switzerland! Welcome new Public Regional Slave of Womania Empire! 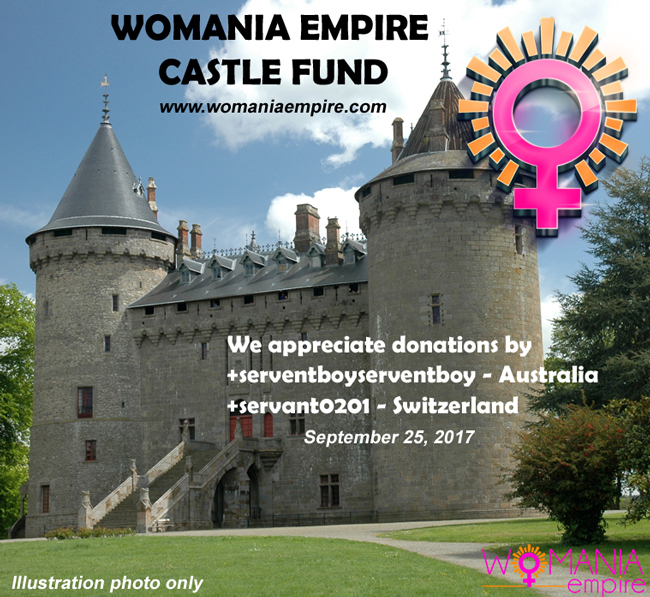 Empress Patricia I. appreciate your gift for future seat of Womania Empire! and deserve to be repaired! Help us and DONATE some for Castle Tower Fundraising! The Empress Patricia I. appreciate every gift! Here is not any minimal limit for an amount.